Is there a better alternative to Travel Agency? Is Travel Agency really the best app in Simulation category? Will Travel Agency work good on macOS 10.13.4? Running a Travel Agency is no vacation. 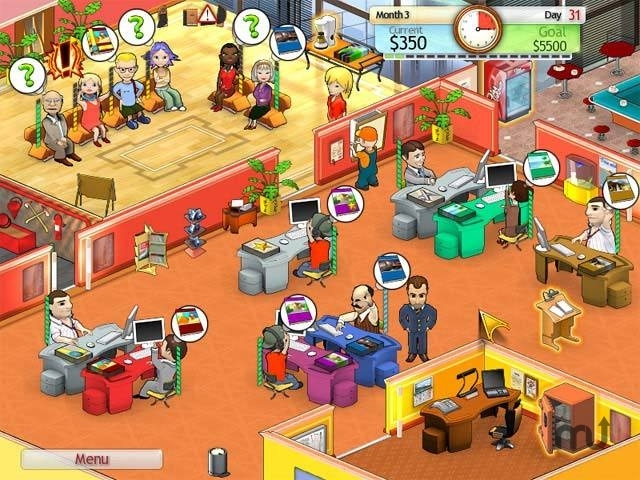 Build your own Travel Agency from the ground up in this challenging Time Management game. Create fabulous vacation packages for many kinds of customers. Watch out - they can be picky! Bring on new workers and keep them motivated and happy. Don't forget to hire a receptionist to give waiting customers a cup of coffee. With a little planning and a lot of hard work, your Travel Agency game dreams can come true! Travel Agency needs a review. Be the first to review this app and get the discussion started! Travel Agency needs a rating. Be the first to rate this app and get the discussion started!